A business in the building and construction industry can give the owner a lot of monetary perks, but while this may be so, this often comes with high stakes involved. For one, there is a need to look at the safety of the employees as well as those who will be using the buildings once these are completed. There are also the regulations set by the government that they need to adhere to. For needs such as these, trade associations may be able to help. Are you in this kind of business? Then here are the top reasons to join in a trade association for this industry. You get proper representation with the government. Like mentioned earlier, working for the building and construction industry will require you to adhere to the policies set the government. Trade associations can represent you on your behalf. If you have concerns that are related to your industry, which are affecting other members as well, the trade association will be the voice that will communicate these needs to the government. It could be as big as changing some of the legal aspects when dealing with clients, or could also be as simple as improving the safety in the workplace. Your employees can benefit from these. Trade associations often provide training for its members. 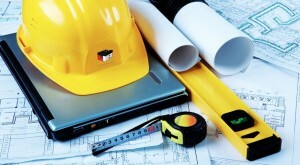 If your employees become a member of a construction trade association, they may be able to get certifications or diploma in their field of expertise such as the likes of project management, which is essential in business development, and other work, health, and safety, and building and construction training programs. Additionally, apprenticeship is also available in trade associations. Becoming an apprentice is one of the easiest ways to advance in their craft. You are given access to local and international resources. These types of organizations often provide resources to their members. Remember that the building and construction industry is ever changing. Trade associations are always updated in the latest trends and you will be able to receive news of these and other safety concerns when you are subscribed to their newsletter or are following their updates on social media pages or websites. You get to expand your network. Networking is crucial whatever type of industry you may be in. Through conferences arranged by these trade associations, you will be able to meet other businesses or even investors who may be interested in making you their partner. This will increase your business contacts that are always good for extra income. If you have not joined a trade association yet, now is the time to consider doing so. Just think of the benefits that you can get.